Free Shipping Included! 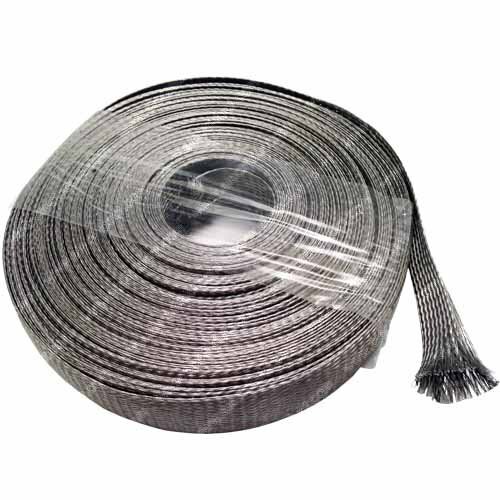 1.75'' Stainless Steel Braided Sleeving (304SS) - Length: 50 Feet by Electriduct at N Online Agency. MPN: BS-ED-SS-175-50. Hurry! Limited time offer. Offer valid only while supplies last. Works great with stainless steel cable ties, heat shrink and other clamps. Able to handle high heat applications while resisting oil and corrosion. Long lengths may not be continuous. If you have any questions about this product by Electriduct, contact us by completing and submitting the form below. If you are looking for a specif part number, please include it with your message. Legrand - Wiremold CMK70 Flat Screen TV Cord and Cable Power Kit, Recessed In-Wall Cable Management System with PowerConnect, White.